Visiting Marrakech was a full experience, as every big city is full of contrasts, in this case between old and new, between what is traditional and what is changing. In the Medina you can still breathe the tradition and the essence of a small city, with its narrow streets made up of small shops, scooters and donkeys in the hands of elderly men still tied to that means of transport. Everything seems to stop in time in the beautiful museums such as the Maison de la Photographie, Marrakech Museum, Musee Boucharouite and the palaces rich in a fascinating history far from our occidental culture like El Badi Palace or Dar Si Said. The gardens are lush with varieties of cacti, lotus flowers and many other rare species, all worth visiting, from the Jardin Secret in the heart of the Medina to the Jardin Majorelle located outside the center in the Gueliz district, where the Museum of Yves Saint-Laurent. 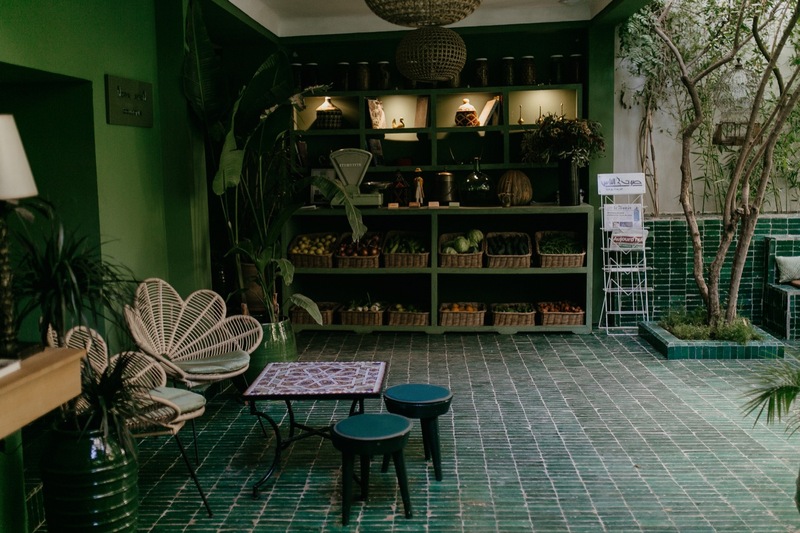 In Gueliz you can also find concept stores with a carefully selected selection of objects and clothing, 33 Rue Majorelle and Some Concept store. Even eating will become an experience between taste and beautiful sight, between terraces or in hidden courtyards such as Le Jardin, La Famille or Café des Epices. Everything seems to belong to another world, in this pink city, which seems to contain within it magnificent hidden beauties, such as riads and hammams, like the Riad Merstane where I stayed. The feeling that leaves Marrakech is something unique, the photos I took will speak for me, better than my words. foto straordinarie e delle atmosfere che fanno sentire l’aria di Marrakech anche attraverso lo schermo del computer. bravissima!